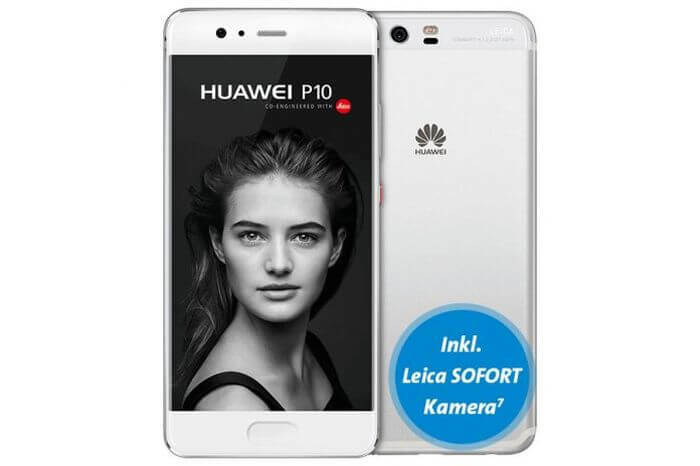 In some European countries, you can already officially buy Huawei P10 and P10 Plus, and even cheaper than recommended by the manufacturer. 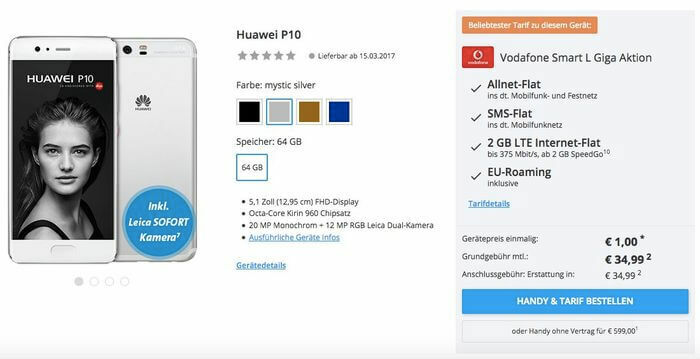 So, the German retailerSparhandy offers P10 without binding to the mobile operator for 599 euros, which is 50 euro lower than the originally announced price. True, at the moment “here and now” you can only buy silver Huawei P10, for golden, blue and black versions while pre-order is in effect, as well. They will be sold during the period from March 20 to April 18. Where you can buy it? 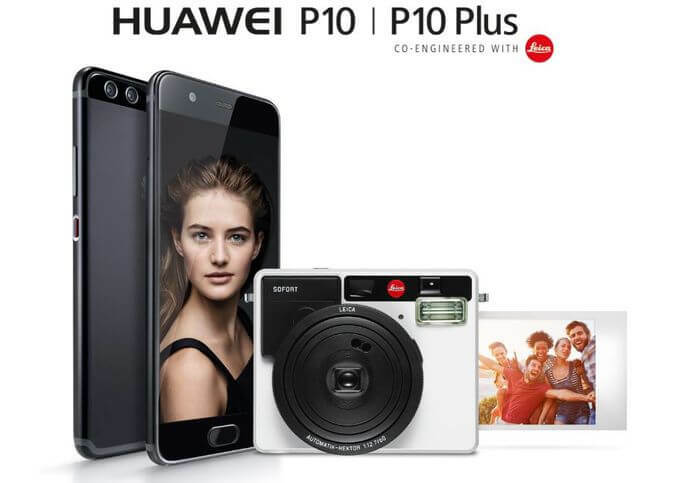 Further, local retailers began selling Huawei P10 and P10 Plus in the Netherlands and Spain. In other EU countries, the new flagship should be guaranteed to appear before Easter, which this year falls on April 16 at the same time for all Christian denominations. And all the first buyers P10 and P10 Plus, who pre-order before March 15 or buy a “live” smartphone, will receive a gift as a gift smart watch Huawei Watch 2. It is worth noting that the “new home” in China, the company’s new flagship is not yet available Free sale, so this time the stake is placed on the markets of the “first world” countries. As for the opportunity to buy Huawei P10 and P10 Plus in Great Britain, it should appear by early April. At the moment, the vendor, with the participation of its partners, is engaged in certification procedures and other bureaucracy. And after, most likely, a separate presentation will be held in London. The same processor, only 100 MHz faster (you hardly feel the difference in practice). Optics from Leica to the front camera (it is unlikely that the pictures will be any better from this). Android 7.0 Nougat now (Mate 9 will receive an update closer to summer). So you can quite get all the same, taking Huawei Mate 9 right now. Of course, if you are not afraid of “shovels” (the diagonal of the screen of this model is 5.9 inches).